Service Strategy: Technology or Business Outcomes? This session will cover the core principles of service strategy from ITIL V3, ISO IEC 38500, COBIT and VAL-IT. Bill will also share best practice and key considerations for achieving business outcomes through improved IT Service Strategy. 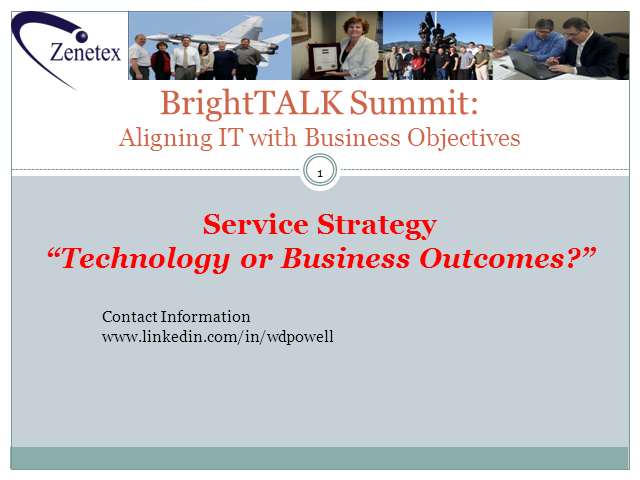 Title: Service Strategy: Technology or Business Outcomes?